Often the reason consumers have a horrible experience with e-commerce merchants is because they either receive the right products at the wrong time, or they receive the wrong products at the right time. Given that the industry of e-commerce has come a long way from its humble origins in the mid-90s, many online stores are now able to ensure that they deliver the right products to the right customers. However, mistakes still do happen. One thing that e-commerce merchants can’t really control is the delivery time for each product. Even if they partner with key and efficient logistics players, they still can’t do much if their customers are way too busy to receive the delivery from the shipping address. We all have been in situations where we missed out on a delivery because we weren’t around, and we had to reschedule another drop off. This essentially restarts the entire cycle of waiting for the delivery guy all over again. Even if we are the ones that are responsible for a failed delivery, it still has an impact on the way we perceive a given e-commerce merchant. 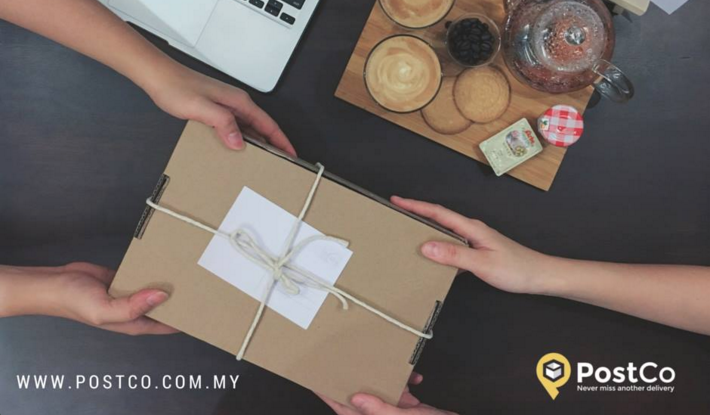 PostCo is a new and upcoming Malaysian startup that’s dedicated to the vision of helping us never to miss out on a delivery ever again. They offer consumers an alternative whereby instead of waiting for hours on end for packages to be delivered directly to them, they can book a collection point on PostCo, and designate it as the shipping address. PostCo currently has about 30 strategically dispersed collection points under their belt, and they’re working on adding more to the platform. Most of these spots tend to be local convenient stores or merchants, and they will be available throughout the day to receive parcels on behalf of the customer. While the coverage area of their spots is limited for now, you can still use them nonetheless to receive parcels from any local or global e-retailer of your choice. However, PostCo does place a significant number of restrictions on the parcels that you can receive. Firstly, the general rule of thumb is that each package should not exceed the maximum size of 50cm X 50cm X 50cm and the maximum weight of 20kgs. Also, you can’t use the service to receive parcels that contain illegal, dangerous or extremely expensive products or substances. Collection points are free to reject the delivery of a parcel if it breaks either of the rules. The way you could make use of PostCo’s service is quite simple. The next time you’re indulging in an online shopping spree, you can head over to PostCo and search for collection points around a given location. You could either book a single spot for RM2.90 or a bundle of 3 for RM5.90. Once you do, PostCo will provide you with a reference number along with the address of your selected spot. You can then copy the address of the spot and paste it in the checkout page of your retailer, and then continue with the rest of the week without much worry. Once your package is delivered to your designated collection point, you will be notified via email and SMS, and then you can simply pick it up at your convenience. You should note however that each booking lasts for a period of a week, and if you fail to pick it up within that time, you will be charged for another week. If you’re unable to pick up the package because you’re caught up with work, you could always get your friend or your assistant to pick it up for you. PostCo just requires that they either have the reference ID or a copy of your ID for security purposes. PostCo introduces the element of convenience of logistics in a whole different way than other on-demand e-commerce services do. Some of these alternative services even give you the option of picking out your own delivery time and they religiously stick to. While such functionality provides a certain level of flexibility, it’s still rigid in the sense that you should be still present at that particular time slot. With PostCo, you don’t have to bother much about whether you’d be available to greet the delivery guy with a smile, rather, you can continue with your interests and only pick at your own spare time once it’s delivered. PostCo is also beneficial to its partners as it directs more traffic to each collection point, and it gives the local stores an opportunity to access a new customer base and to earn revenue through a new income stream. The platform also provides local e-commerce platforms with convenient pick-up points that they can in turn use to provide a value-added service to their customers. I assume that having a list of known locations will free up the workload for these local e-commerce merchants, and they will be able to deliver products to these points more quickly than delivering it to each individual customer’s doorstep. Given that I’m expecting 2016 to be the year where same-day delivery for local e-commerce stores becomes a reality, this seems to be a step in the right direction.